The hills are alive — 172 Spruce St. The hill behind our apartment building is blooming. 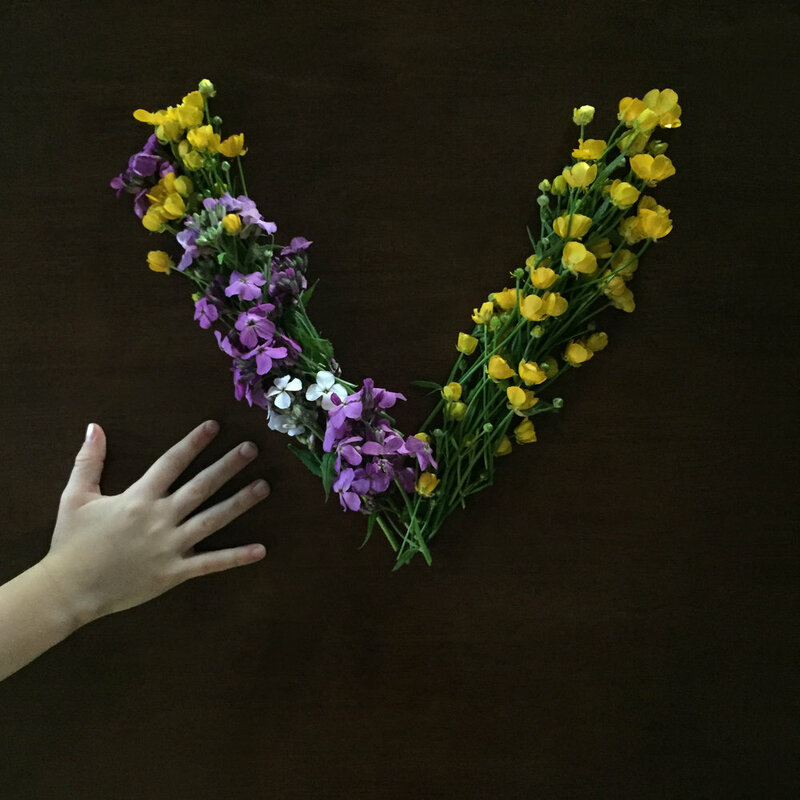 Here, our son makes letters out of flowers. Older Post Three of the total six apartments have been spoken for!